Workers at Haft Tappeh have been out on strike several times over the past 18 months, over non-payment of wages and bonuses and other issues. Strikers have been locked out of work and there were arrests of workers in April. 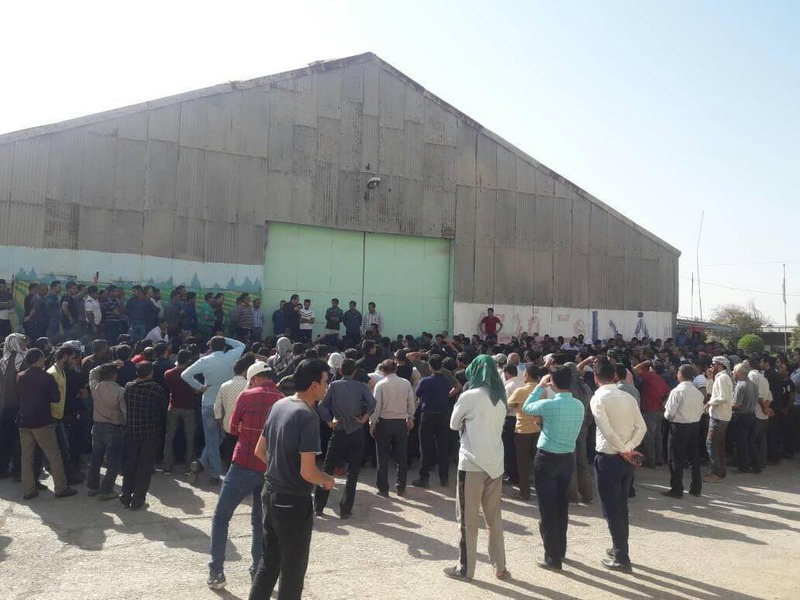 Additionally, petrochemical workers from Gachsaran in south-west Iran were on strike against non-payment of wages earlier this week. Iran's currency has plummeted recently due to US sanctions. This is steeply affecting living standards, already a major trigger of the strikes and protests earlier this year, during which a slogan was Bread, Jobs, Freedom.